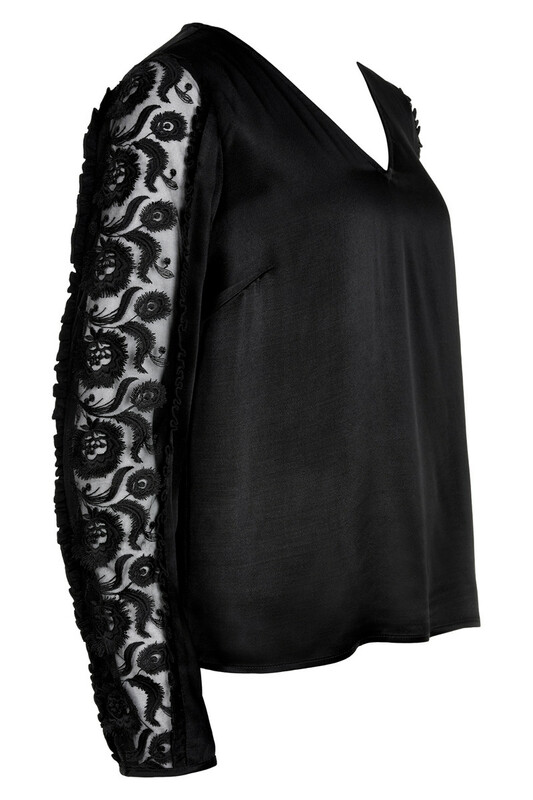 Cool and elegant blouse from Culture. 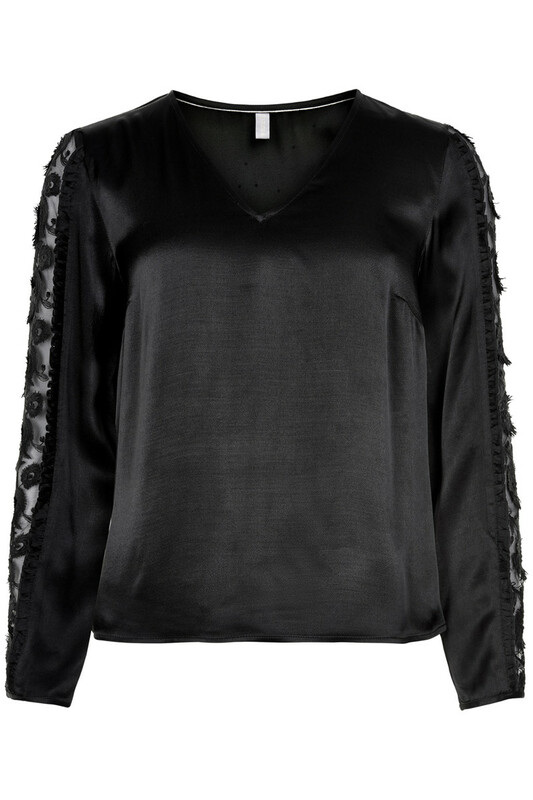 The blouse has a v-neckline, long sleeves with beautiful details and a regular fit. It is lovely to wear and light in quality with its 100% viscose. The sleeves undoubtedly take all the intention with its ruffle, fringe and lace details, designed in a beautiful and feminine look. The combination of the classic and simple front as well as the back, in combination with the fine sleeves creates an elegant and stylish look. It can certainly be used for both party occasions and everyday use.